MOST of the new stores going up here are positioning themselves for future growth, says Yianni Pavlou, Portfolio Property Investments company principal. The La Lucia and Umhlanga nodes are prevalent. Kale Bagwandin, a broker with Chalupsky Properties, says major commercial properties in the La Lucia/ Umhlanga area are along Armstrong Avenue, Umhlanga Rocks Drive and in Ridgeside Office Park. “It’s about the perfect property that will create the best working environment, and Umhlanga Ridge does that with its modern architecture and sea views. There are land and development options available in Cornubia, but they are being snapped up as many see Cornubia becoming the new Umhlanga. “With Cornubia and Ballito opening doors to many new developments, the north of Durban will see more growth in the near future. And because of the limited amount of land available, now would be the perfect time to invest,” says Bagwandin. 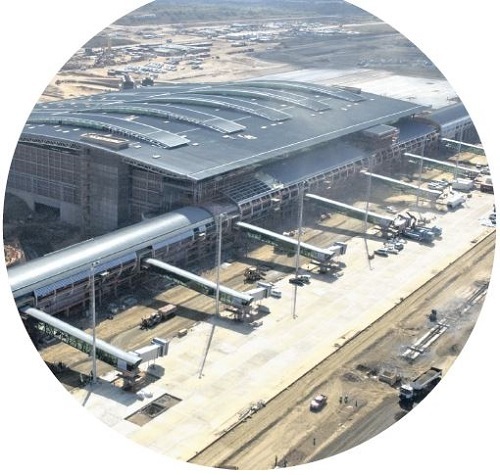 Public Private Partnerships (PPPs) and more residential and commercial properties being transferred will help aid growth in the Durban central area. The CBD includes two relatively new development areas: Rivertown in the Hunter Street area, and the part of town known as Point Waterfront. Growth in this area is due mostly to the port, and so the area will always attract certain types of clientele, such as logistics companies. Pavlou says the widening and deepening of the port will also contribute to certain companies needing to be there. DURBAN’S commercial property sector is expected to see its biggest boom yet over the next decade as investment in key commercial nodes picks up at a rapid pace. Commercial property professionals say growth in KwaZulu-Natal, in general, but Durban specifically is being fuelled by so many sectors that the next 10 to 15 years will see the city explode with new business and investment. Lightstone statistics show the top 10 commercial properties in KZN suburbs for 2016 – based on total transfer value – saw a total of 225 retail, industrial and office property transfers take place in the province, with a combined value of almost R4.5 billion. And although Riverview Park accounted for one major transfer of R690m, putting it at the number one spot, Durban Central saw 73 property transfers take place, with a total value of more than R599m. 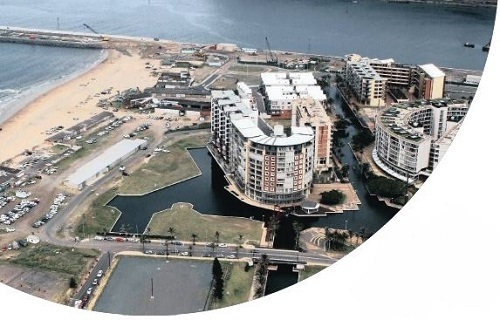 Of this almost R600m sales value in the Durban CBD, Portfolio Property Investments was responsible for about R200m, says company principal Yianni Pavlou. These included two iconic buildings – 320 West Street and Nedbank Tower. “These two big propertiesdefinitely spiked the figures up, but we are getting a lot of investment back into the Durban CBD. There is now value for these properties again and they are being purchased and given attention,” he says. Pavlou believes the CBD has gone through cycles, from being in and out of favour a few times, to urban decay, and now back again to popularity. Many upgrades have been due to property groups like Propertuity, Urban Lime, and Mafadi, says Brian MacNicol, principal agent at Chalupsky Properties. In the outlying areas, he says the likes of Growth Point, Redefine, Shree Prop, Newlyn and JT Ross have been integral in the upgrades. “The CBD offers good value for money for a diverse range of businesses (and) consists of an exciting mix of high volume foot-traffic retail space, reasonably priced commercial space and associated businesses. He says many larger properties in all these areas – where commercial space has become available because of high volumes of blue chip tenants moving north – are converting to colleges and student accommodation. Overall, Pavlou “firmly believes” that the next 10 to 15 years will be Durban’s turn to shine. Durban has exciting development ahead… with a lot of new business coming into the city.